It's Kinect day! The Kinect For Windows SDK v1 is out! As everyone reading this blog, and those in the Kinect for Windows space, knows today is a big day. From what was a cool peripheral for the XBox 360 last year, the Kinect for Windows SDK and now dedicated Kinect for Windows hardware device, has taken the world by storm. In the last year we've seen some simply amazing ideas and projects, many highlighted here in the Kinect for Windows Gallery, from health to education, to music expression to simply just fun. And that was all with beta software and a device meant for a gaming console. With a fully supported, allowed for use in commercial products, dedicated device and updated SDK, today the world changes again. Welcome to the Kinect for Windows SDK v1! The Kinect for Windows Skeletal Tracking system is now tracking subjects with results equivalent to the Skeletal Tracking library available in the November 2011 Xbox 360 Development Kit. The Near Mode feature is now available. It is only functional on Kinect for Windows Hardware; see the Kinect for Windows Blog post for more information. Robustness improvement including driver stability, runtime and audio fixes. Set Tracked Skeleton API support is now available in native and managed code. Developers can use this API to lock on to 1 or 2 skeletons, among the possible 6 proposed. Mapping APIs: The mapping APIs on KinectSensor that allow you to map depth pixels to color pixels have been updated for simplicity of usage, and are no longer restricted to 320x240 depth format. The high-res RGB color mode of 1280x1024 has been replaced by the similar 1280x960 mode, because that is the mode supported by the official Kinect for Windows hardware. Frame event improvements. Developers now receive frame events in the same order as Xbox 360, i.e. color then depth then skeleton, followed by an AllFramesReady event when all data frames are available. DepthImageStream now defaults IsTooFarRangeEnabled to true (and removed the property). Performance improvements to the existing per pixel API. Changed return type of SkeletonFrame.FloorClipPlane to Tuple<int, int, int, int>. The Kinect SDK now includes the latest Microsoft Speech components (V11 QFE). Our runtime installer chain-installs the appropriate runtime components (32-bit speech runtime for 32-bit Windows, and both 32-bit and 64-bit speech runtimes for 64-bit Windows), plus an updated English Language pack (en-us locale) with improved recognition accuracy. Echo cancellation will now recognize the system default speaker and attempt to cancel the noise coming from it automatically, if enabled. Kinect Audio with AEC enabled now works even when no sound is coming from the speakers. Previously, this case caused problems. Audio/Speech samples now wait for 4 seconds for Kinect device to be ready before recording audio or recognizing speech. A sample browser has been added, making it easier to find and view samples. A link to it is installed in the Start menu. ShapeGame and KinectAudioDemo (via a new KinectSensorChooser component) demonstrate how to handle Kinect Status as well as inform users about erroneously trying to use a Kinect for Xbox 360 sensor. The Managed Skeletal Viewer sample has been replaced by Kinect Explorer, which adds displays for audio beam angle and sound source angle/confidence, and provides additional control options for the color modes, depth modes, skeletal tracking options, and motor control. Click on “(click for settings)” at the bottom of the screen for all the bells and whistles. Kinect Explorer (via an improved SkeletonViewer component) displays bones and joints differently, to better illustrate which joints are tracked with high confidence and which are not. KinectAudioDemo no longer saves unrecognized utterances files in temp folder. An example of AEC and Beam Forming usage has been added to the KinectAudioDemo application. There is a redist package, located in the redist subdirectory of the SDK install location. This redist is an installer exe that an application can include in its setup program, which installs the Kinect for Windows runtime and driver components. 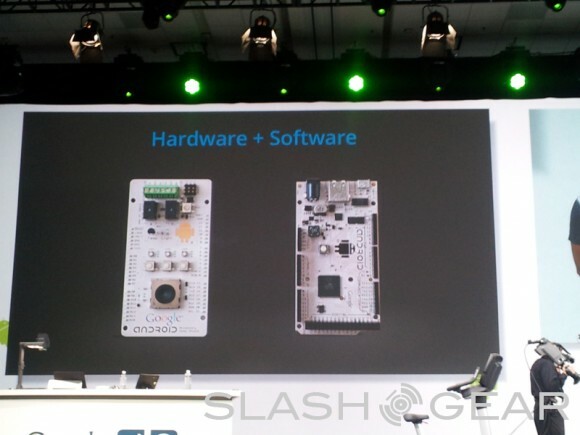 Peter Chou already unveiled HTCdev and the OpenSense SDK during his Uplinq 2011 appearance yesterday, but the company has now fleshed out the details of the developer-friendly proposal. Set to launch properly this coming summer, HTCdev will offer developers guidance and tools to create apps for, and modify, HTC smartphones. Meanwhile, the new SDK will allow for integration with some of HTC’s custom tweaks to its range. For instance, HTC had promised that third-party developers would be able to code apps that take advantage of the digital stylus accompanying the HTC Flyer, and it’s the OpenSense SDK which will unlock the APIs for them to do that. It will also allow them to use the 3D display as on the EVO 3D. Right now, interested developers can sign up for more information at HTCdev.com ahead of both program and SDK going live in the next few months. The project follows HTCpro, launched last year to offer mobile consulting and app development, and comes on the heels of HTC’s announcement that, moving forward, it would be unlocking the bootloaders on its Android phones. During today’s opening keynote for Google I/O, they touched on all the major topics that folks were anticipating including Android Ice Cream Sandwich, Google Music, and Google TV, but they also added some unexpected developments. One of them being their new Android Open Accessory initiative, that will allow developers to create their own hardware accessories that can be controlled by Android. The Android Open Accessory system is built on open-source Arduino. It will will allow externally accessories connect to an Android-powered device via USB and eventually Bluetooth. This could essentially mean the start of a whole slew of “Made for Android” devices such as docks, speakers, or even an exercise bike. This opens up a whole world of possibilities now for external accessories to work with Android. Google is offering an Android Device Kit or ADK for developers. The kit comes with a sample implementation in the form of a USB accessory along with all the hardware design files, the code for the accessory’s firmware, and the Android application that interacts with the accessory.